Just popping in to share a little bit of color inspiration with you guys! What's elegant, and sophisticated, and all kinds of pretty? Say hello to these made-for-one-another shades! 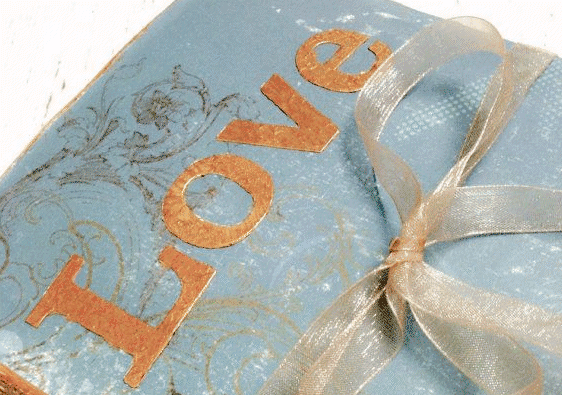 Shades of dusty blue really do work well with glittery gold and silver. Wouldn't you agree? 7 Comments " Dreamy Wedding Inspiration | Dusty Blue and Metallics "
Such a beautiful combination of colors! Thank you SO much for featuring My " LOVE " book ! I love this combo - so soft and romantic! Absolutely lovely. This dusty blue and gold is divine!